One of the best things about us is that we are fully mobile 24 hours a day 365 days a year to anywhere in Moorpark. We can come help you out of any sticky situation you may be in whether you are locked out in Moorpark or simply just need us to rekey your locks. Mobile Locksmith Moorpark has some of the most high tech equipment around equipped in all of our work vehicles. We can come to you and make almost any car or motorcycle key. 805-747-4646. 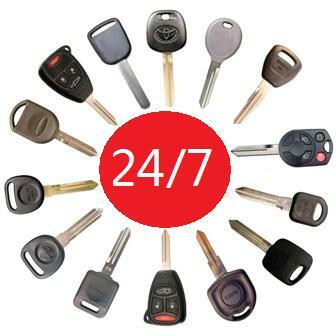 What Does Mobile Locksmith Moorpark Service? We can service anything that is lock and key related even car or motorcycle ignitions. We specialize in Automotive Locksmith, Commercial Locksmith and Residential Locksmith service in Moorpark. If you happen to be out of the area we can come to you anywhere in the Los Angeles or Ventura counties. Lockouts are the most common issue we encounter. If you are locked out of your home, office or car we can get you back in quickly and safely. We can also change out all of your locks if you are in the market for upgraded some old hardware. If you have any questions please call our friendly staff at 805-747-4646.